When your school budget is being squeezed, it can be tempting to retrench, cut back and try to do the best with what you’ve got, especially when it comes to innovative maths interventions. However an alternative approach, and one that many schools are opting for, is to take a look outside your own environment and see if there are any innovative ideas others have tried that might help you do more with less. Where to find these innovative intervention programmes? I’m lucky enough to be in a different primary school almost every week, helping to support our Third Space Learning Ambassadors to get even more out of the one-to-one maths tuition we provide. In my experience, the way to find the best innovative intervention programmes is to ensure as senior leaders you talk to other local schools and see what they’re doing. Schools in your neighbourhood may well have similar issues to your own school and teachers there are likely to have tried out teaching techniques or innovative interventions which you haven’t come across but which could also benefit your pupils. I know it isn’t always easy to make the connection with local schools. Last year I met staff at a school in Staffordshire who could actually see their neighbouring primary school from their school window, yet had still never collaborated to share their most effective teaching practice or ideas! So if you’re not already well connected, and are on the lookout for new ideas, or new interventions for pupils, I’d recommend the first thing you do is attend some networking events. The most common of these are TeachMeets. Now, several years into my teaching career, I have attended several of these and even spoken at a few and I can safely say that teachmeets are a fantastic way to pick up classroom ideas, tips to enhance your teaching, and even strategies to address more whole-school issues. Primary Rocks Live is a relatively new but increasingly brilliant annual event for primary school teachers. While networking per se, and networking events can be good ways to discover new primary intervention progammes, they are not perfect. For example, often the journey towards actually being confident enough to implement that intervention yourself can take some time. You attend the event, you hear about an intervention from another teacher, you perhaps discuss it with them then or later on by email, you source the intervention, and then finally you get to try it for yourself. How about roadtesting an intervention first? Our idea, to support schools wanting to share their innovative ideas in Maths teaching and learning is to create a slightly different form of networking events: Primary Maths Intervention Showcase Events hosted by Third Space Learning Ambassador Schools. At these events, you can short-circuit the journey towards trying an intervention by experiencing it firsthand for yourself, and talking to the participants about their reactions all in the same morning or afternoon! 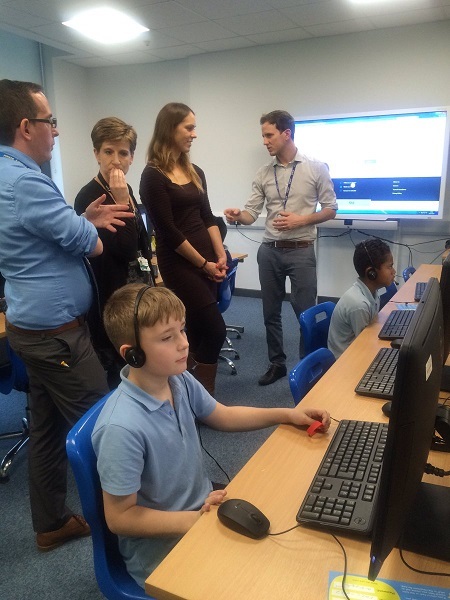 Last year over 100 primary schools using Third Space Learning’s 1-to-1 tuition opened their doors to other local schools at Maths Intervention Showcases. They shared best practice for supporting their pupils in Maths and heard how other schools have been tackling issues such as supporting pupil premium and EAL pupils with limited funding. Around 400 teachers and school leaders have now attended these networking events in schools across the UK, from Cumbria via Bethnal Green to Kent. School leaders often tell me that they believe in the benefits of 1-to-1 Maths tuition and would like to implement it in their school, but it has been too expensive and too hard to organise. At the showcase events, Ambassador schools that work with Third Space Learning are able to show teachers and leaders like you that this doesn’t have to be the case. 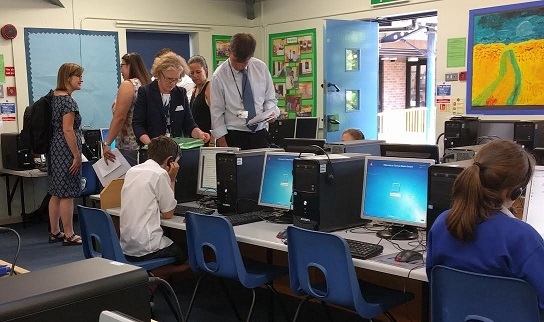 They invite SLT and Maths Leads to visit their school, watch a live 1-to-1 Third Space Learning session in action and talk to the host school about their experience with this kind of intervention. What do you learn at a Maths Intervention Showcase? Watching a live Third Space Learning 1-to-1 Maths session in action. You’ll watch each pupil work with their own tutor and progress through personalised lessons at their own pace.Talk to current Third Space teachers and pupils about their experience. Network and share best practice and innovative interventions with other teachers in your local area. Why should Headteachers and Maths Co-ordinators come to a Maths Showcase? In the autumn term, Third Space Learning Ambassador schools held nearly 30 Primary Maths Showcases and 94% of attendees rated their experience as 8 or more out of 10. How can you attend a Maths Intervention Showcase? If this sounds like something you or another member of the SLT in your school would benefit from investigating, take a look at our list of forthcoming events.